Get cash back this month! 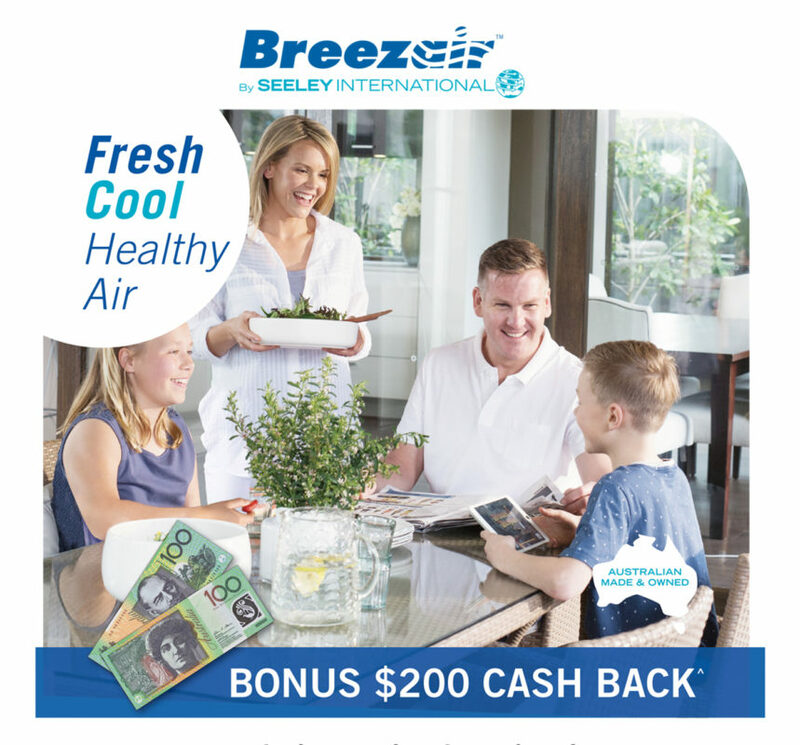 Purchase and install a Breezair evaporative air conditioner from a participating dealer to receive $200 cash back from Seeley International! Valid on purchases made 01 October – 31 October 2018 only. The closing date for this promotion (the last date to lodge your application) is 11 December 2018.